Amanda is a professional dancer, actress and model whose passion is to dance. 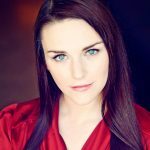 Classically trained in ballet and modern dance, Amanda is known for her precise technique, commanding stage presence, and fluidity of movement. She has trained with notable artist such as Karen Kain, Veronica Tennant and Margie Gillis, and has won several awards and scholarships nationally. Her repertoire has expanded to include lyrical, contemporary, Argentine tango, commercial styles, jazz, hip hop, ballroom, Latin and salsa dance. Amanda has worked in music videos, television commercials, Bollywood movies, online ad campaigns, corporate events and dance on film projects. She was principal dancer, choreographer and company member for The Lovers Cabaret, Seasons, and Corazon Dancers. 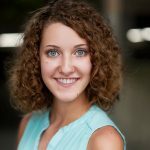 Amanda volunteered as a principal dancer and choreographer for Brilliant!, Shine! and Red galas benefiting mental health and HIV research. When not performing, Amanda is a designated accountant and strategic operations manager at a financial brokerage. She has been a guest speaker at the Vancouver Board of Trade and two Young Women in Business conferences as a key note speaker and panelist. She mentors high potential young females and enjoys giving back to the community around her. When not dancing, Amanda is also a 200 hour YTT certified yoga instructor. 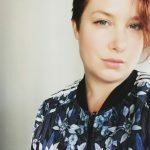 Amanda’s teaching style is high-energy with a focus on bringing out the artistry and love of dance for all who take her classes, regardless of level of experience. Young, energetic, committed, and passionate are the adjectives that describe Julie; Julie has mastered k-pop dance, shelled the moves, and understood the connection that makes each of them relevant to k-pop music. This is the true personality of a k-pop dance instructor. The history of Sun’s association to dancing speaks positively in relation to her achievements. Although she focused on Hip-hop only after sixteen, Julie started involving in a variety of dances since her childhood. While some of these experiences were unrecorded, she must have had numerous professional trainings and on-stage experiences; most of which brought her out as talented dancer with the abilities to enjoy performances with perfect memory, outstanding stamina, and unique physical and emotional connections with the audience. Notable among the many local dance battle experiences include the winning of the Feel Korea Kpop cover dance North America round in the year 2013 and the subsequent flight to Asia for the Global Final Championships of the same contest. Her latter life in Asia saw her interact with, master, and deeply understand the Asian Pop Dance Culture and all the social issues surrounding its performances. Knowing how to dance is great, but it is not all one needs to be accomplished in k-pop dance. One has to be confident, expressive. They have to establish an affective connection and positive attitude with the music and the audience; all features of which Julie achieves. As a choreographer, she still remains experienced. Occasionally performing as a professional back dancer, she has choreographed numerous local concerts successfully. In her choreographic teachings, she emphasizes on star-like performances with concentration on specific areas: evaluating the music, understanding its dance approaches, grooving the basic dance techniques, and developing solid techniques progressively. 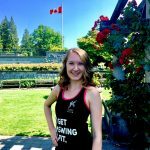 Heather Kirkland has been teaching dance in the Vancouver and Burnaby districts since 2003. Her early training included the Royal Acadaemy of Dance ballet technique and examinations and later Cecchetti technique and modern dance at Arts Umbrella. She graduated from the Performance Intensive program at Maindance and then moved to Toronto where she completed the training program at the school of Toronto Dance theatre. Later she studied as a dance/ theatre apprentice with Jumpstart Performance Company. Before discovering teaching Heather could be found on stage in Toronto and Vancouver in productions such as 12 min max, Dancing on the edge and The Kiss Project. Now she is thoroughly enjoying sharing her love of dance through teaching and choreography in both ballet and modern dance forms. In her classes Heather encourages artistic expression and musicality while working with students on good healthy alignment and technique. She aims to cultivate a supportive environment where creativity can flourish regardless of your level of experience. Jordan’s fervor for dance connects back to his hometown of Winnipeg, Manitoba, where his initial experiences and foundation with dance were set. Jordan has spent significant time working on his knowledge of street dance from house, hip-hop, and into new jack swing, to name a few. 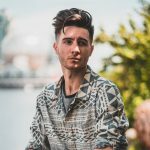 As someone establishing himself in the dance scene, Jordan aims to provide a holistic teaching experience through awareness, knowledge and execution, from choreography to foundation and its in-betweens. Mohammed is a professional dancer from Victoria BC currently training with renowned dance company TwoFourSeven. Mohammed has trained in various styles of dance such as contemporary, jazz, ballet and of course hip hop. Currently Mohammed is expanding his training at a variety of locations throughout Vancouver and is keen on sharing his knowledge with the community. He is passionate, driven, energetic and all smiles. Mohammed is set out to create a positive environment and have you leaving class full of energy and a better attitude. His goal is to allow the one hour of training to be an escape from the stress of day to day living while learning fun grooves and dancing to great music. Trishya Perera is an aspiring dancer, choreographer, teacher and judge who found her passion at a very young age. She has been trained in a range of different forms from classical to urban styles. Trishya graduated from York University in Toronto with a BFA honors in Dance. Trishya has choreographed for numerous plays, showcases and musicals with both her work and her self being represented in many industry showcases. Trishya’s musical theater experience continued as Consuela from West Side Story performed at The LOT in Toronto. She has had the opportunity to tour internationally with companies such as Creativiva & Echo Productions performing in “The Little Prince”, “Aladdin” & “Bonnie & Clyde”. Trishya is very grateful to have had the opportunity to produce and choreograph her own production, “All ApartTogether” in March of 2014. 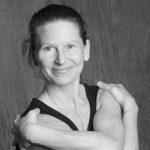 Her teaching experience took her to London, England where she taught Contemporary at Pineapple Dance Studio, which then opened doors to tour Western Canada teaching and performing contemporary dance. Trishya is honoured to have been on the judging panel for StarCatchers Dance Competition and Toronto International Youth Dance Festival. She most recently moved to Vancouver to further her passion and is proud to be a dancer for The Darlings Cabaret. 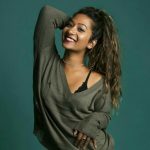 Trishya recently landed contracts with Vancouver Opera in Vancouver and Yellowpoint Christmas Spectacular on Vancouver Island. She continues to perform and teach and will always encourage her students to follow their dreams. Professional Dance Coach, Choreographer, Motivator, Entertainer, Actor, stage Producer and Director, with 25 years of extensive experienced in Dance, Musical Theatre and TV & Film. His dance styles include: Jazz, Hip-Hop, Funk, Swing, Ballroom and Latin. 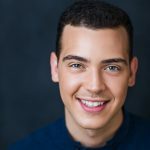 Gustavo’s training began in San Francisco California at the City College arts program and then to Calgary, Alberta with the Young Canadians school of Performing arts. He is the creator of Latin Funk Dance®, a popular fun, high energy dance program he brought to Vancouver in 96, becoming the first and the most popular Latin Fusion dance program in the city. Recently Gustavo has created a new exciting dance program called” Groovazon” a Funky groove Jazzy dance style. Gustavo was one the Dancers featured in the 2010 Olympic opening ceremonies and has appeared in numerous television and radio shows as well as newspaper and magazine articles. Gustavo created and appeared in his own morning TV dance fitness show on Vancouver’s Channel 8 televised all over Canada, USA and Europe. Gustavo also created an instructional Latin Funk Dance DVD sold in North America and Europe. He is the Director and Choreographer of his own dance company called The Corazon Dancers. 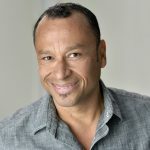 Gustavo has appeared in numerous TV commercials for “Boost”, “Coke zero” and “Corona” as a principal dancer and TV shows like “Beyond” and “Legion” as an Actor. Hi All! After living in London for close to 2 years and witnessing the beginning of the Swing Train movement, I decided to bring this joyful class with me across the pond to Vancouver. Some quick facts about me: I’ve been dancing for roughly 6 years, my favourite food is salad (I have it on good authority that I make a stellar salad), and when I’m not dancing, I’m training for a half marathon.